– Make sure if the “highlight field” option is on. 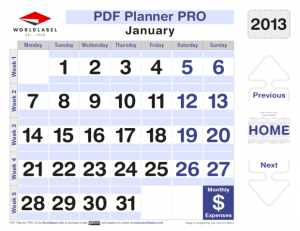 – To insert your image (logo or photo) on the cover page – just click on an special field “YourLogo Or Photo” in top center and select a picture. Make sure your image size is about 3 inches in width and 2 inches in height (900 x 600 pixels). 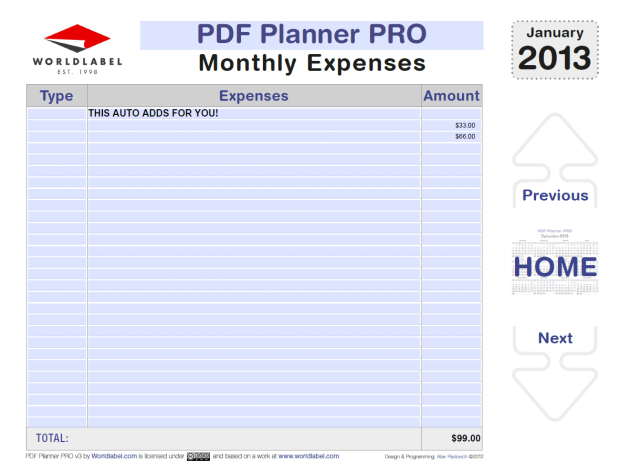 – You can change an text “PDF Plannerr PRO v3”, and also a font type, sizes, colour, alignment etc. 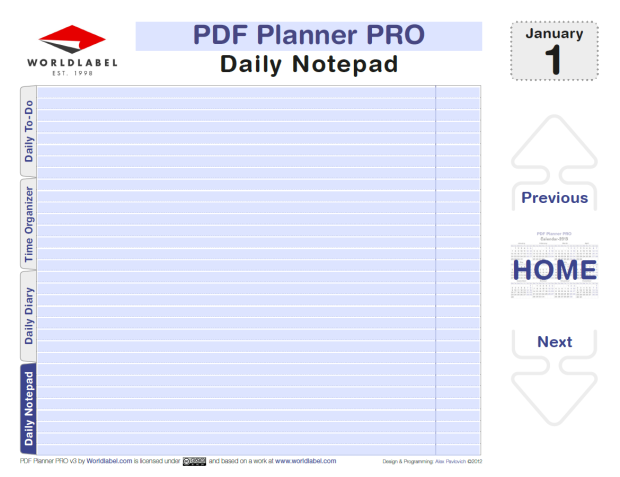 – just press Ctrl+E and select in toolbar “Form Field Text Properties” appearance necessary to you. 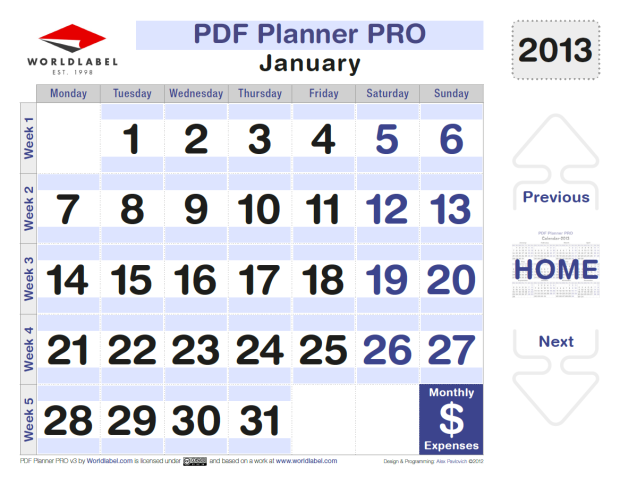 – To find day & month what you need quickly use the “Home Page” with the annual “Calendar-2013”. 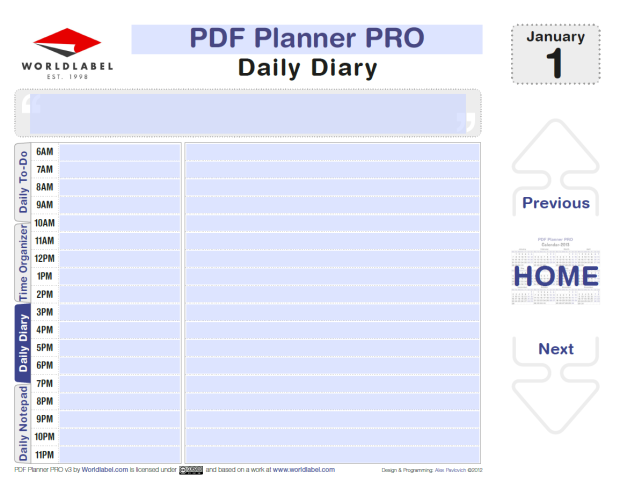 – You can go to the next month/day or previous month/day by clicking on the arrows “Previous” and “Next” on right side of pages. 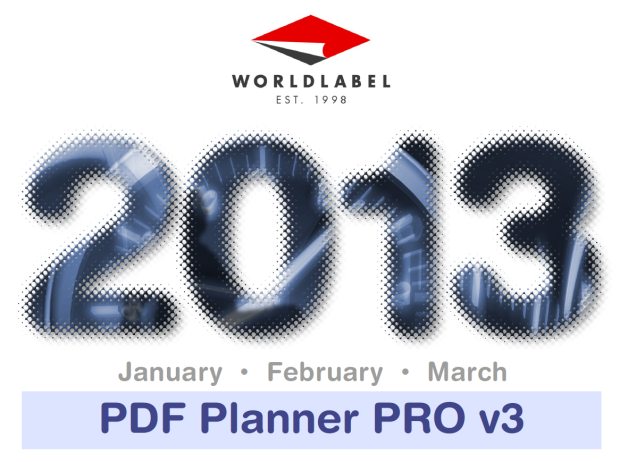 – To change the logo on planner pages – just click on the Worldlabel logo. Make sure your image size is about 1.8 inches in width and 1 inch in height (540 x 300 pixels). – You can change text in all fillable fields, and also a font type, sizes, colour, alignment and etc. 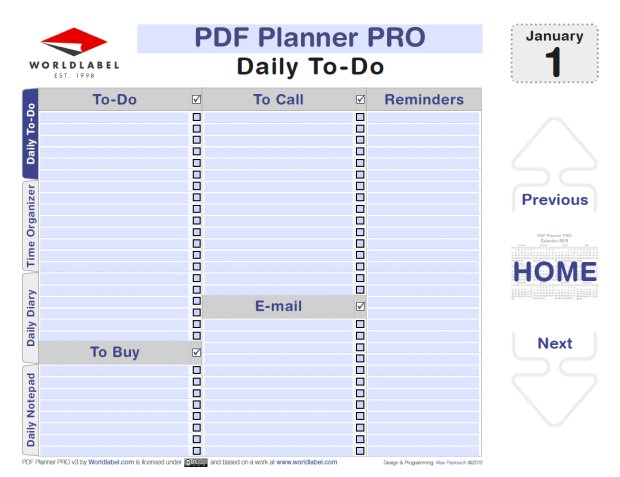 – just press Ctrl+E and select in toolbar “Form Field Text Properties” appearance necessary to you. 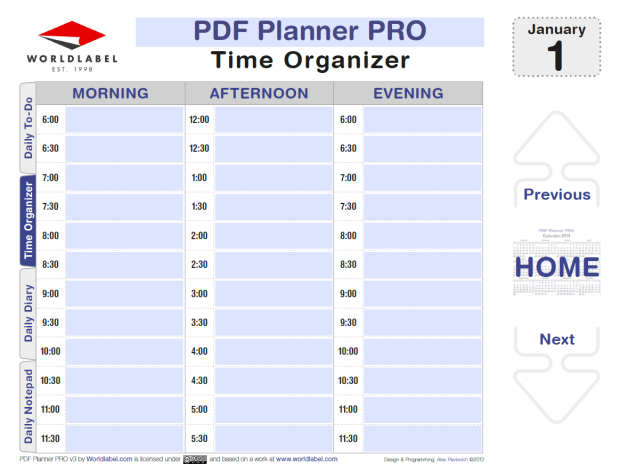 I have been using the PDF Planner since 2009 from here, and today I went on google to search for “worldlabel pdf planner” and was pleased to see that a new 2013 version had been made, but I was completed surprised by how organized it was for daily use, very impressive PDF programming by Alex. Thank you both very much! This is AMAZING! When will the 2014 version be published?